Harden's Guides have been compiling reviews of the best restaurants in Oxford since 1998. Hardens guides have spent 15 years compiling reviews of the best Oxford restaurants. On Hardens.com you'll find details and reviews of 96 restaurants in Oxford and our unique survey based approach to rating and reviewing Oxford restaurants gives you the best insight into the top restaurants in every area and of every type of cuisine. 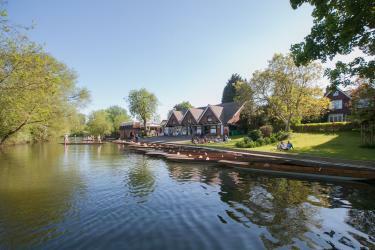 A legend for its “wonderful wine list” since the 1960s – this “delightful and unique” north Oxford venue is “a reliable old favourite” set in a working boathouse on a tributary of the Thames – so you can work up an appetite with an afternoon of punting. The solidly rated food doesn’t aim to set the world on fire, but is “good value and well-cooked – something that is quite hard to find in this overpriced city”. Top Tip: “The occasional set dinners with chosen wines are a highlight”. 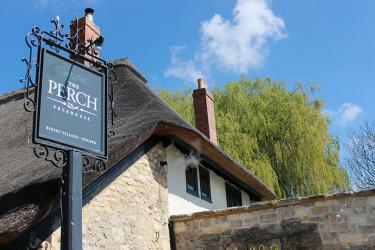 Claiming to be ‘as old as the university’, this thatched 17th-century building, a short stroll across Port Meadow from the city-centre has a “delightful” garden on the river, and was “nicely renovated” when experienced local licensee Jon Ellse took it over a few years ago. The ‘gastropub grub’ is “certainly not shabby” although quite “old skool”. 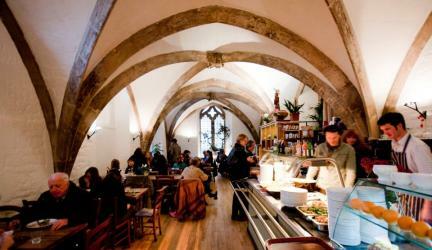 “A great location in central Oxford” is a unique selling point of this quirky café – part of the University church on the High, with a medieval vaulted interior, and gorgeous outside seating in the churchyard. “The choice of fare is limited” (breakfasts; plus simple dishes such as curry, tagine, and soup) but adequately nourishes its clientele of students, clerics and tourists. “Fabulous” tapas has made an instant hit of this small, year-old bar in an old chemist’s shop (from Rufus Thurston, owner of Oxford legend Oli’s Thai, and Ben Whyles of east Oxford’s Door 74): “yet another independent to liven up the Oxford food scene”. “Enthusiastic, knowledgeable and friendly staff” add to the “brilliant experience”. A Jericho institution for more than 30 years – “the food remains excellent” at this “charming” Lebanese. To newcomers it’s still “a real find” – “so many small dishes to choose from that I never got to the mains, although my friends were impressed with those”. “Pleasing and original choice of vegetarian offerings”, too. The new regime (as of 2016) has “turned this tired and old venue into a local treat”, whose “good small menu” features “great daily specials”, slap-up Sunday roasts and ten taps with sought-after craft beers. A “lovely” Grade II listed Victorian conservatory provides a very “attractive setting” at this well-known and highly popular venue. But despite some reports of “fine” meals, most feedback suggests it’s “living on past glories” – including a stint as Raymond Blanc’s original Petit Blanc – while “Oxford has improved overall” (“humdrum menu and humdrum cooking”).